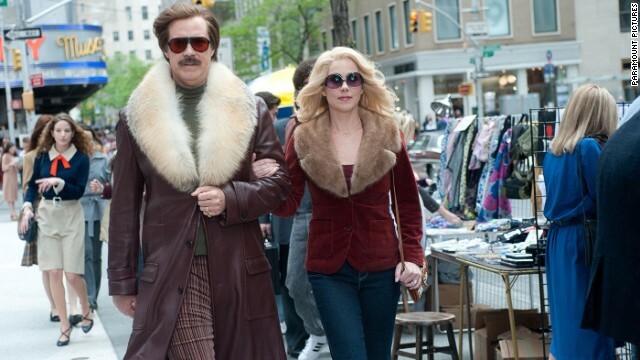 We've been chanting "December 20" for weeks now, but "Anchorman: The Legend Continues" is coming early this year. The sequel to the 2004 Will Ferrell comedy is now arriving on December 18 instead of its original December 20 release date. That puts the anticipated flick up against limited release "Her," starring Joaquin Phoenix and Scarlett Johansson, as well as David O. Russell's "American Hustle." But it'll also now have a head start over "Walking with Dinosaurs" and Tom Hanks' "Saving Mr. Banks." Ron Burgundy is my hero. I can't wait for Anchorman 2. OH MY GOD IT'S COMING TWO WHOLE DAYS EARLIER!!!! OHHH HAPPY DAY!!!! YAAAAAAAAAAAAAAAAAAAAYYYYY....!!!! !